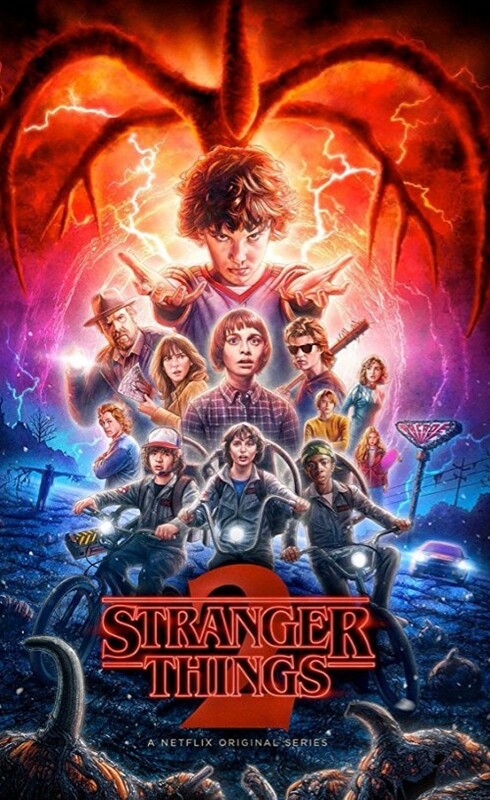 The second season of Netflix's Stranger Things has come and gone, as much like the first season, the second season was pretty much another hit out of the park, with Rotten Tomatoes giving it a 94%, IMDb users have given the show an overall 9/10. 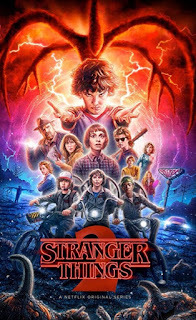 Once again while watching the second season of the series, you'll be hit with a ton of retro movie references pointing at such franchises as Stand By Me, Aliens, Star Wars and so much more. What's magical about this series is that it takes place in another time or era, so the form of escapism with monsters and evil scientists can be rather complete. Then we have the young teenager camaraderie and chum humor that evolved from the first season, continue with this one. Paul Reiser, Sean Astin & Sadie Sink. Joyce Byers (Ryder) is doing her usual, decorating the house with clues, Jim Hopper (Harbour) is the dour cop with a few new responsibilities, and Eleven (Brown) has grown a bit intellectually since we last saw her in events from a year previous. Now, since we've been introduced to elements in the previous season that brought the horror to light, we only have to look forward to what the creators have come up with and how they deliver it. The core kids carry the story just like last season, but Will was traumatized from events of last season, so he's seeing a shrink (Reiser). What could go wrong there! Pay attention, I haven't seen Reiser in forever and didn't recognize him at first. Hopper has more to contribute than last season, as you'll see why if and when you catch the show. There are almost too many stories, but it's not overdone, and in the end, they all get tied together for what you may or may not expect from them all. Bottom line - If you liked season one, you will enjoy season two.